Shopping around to save spending money for any Lexmark toner cartridges? If your Lexmark printer is short on toner you could get fabulous cost savings as a result of purchasing any of your replacement Lexmark C910 toner cartridges supplier. We've got a lower price guarantee and that means you get amazing discounts for Lexmark C910 toner cartridges without having to go and shop on more costly electronics stores Furthermore, we only distribute Lexmark C910 toner cartridges which are very high in engineering quality as well as cheap and so why accept anything less? You are able to make big savings as a result of speedy and free delivery on all Lexmark toner. You can start to save now when you order low cost Lexmark C910 toners by using our shop. We a welcoming team of consultants to make sure that buying Lexmark C910 toner cartridge will be a speedy and also uncomplicated process. Just remember, Lexmark C910 laser toners delivered by Cartridge Save will also be accompanied with our guarantee which enables you time to claim a full refund in case you are disappointed because your toner cartridge is faulty or damaged. We're offering fast delivery, high quality cartridges plus the lowest possible prices so it makes perfect sense for you to shop with Cartridge Save for your C910 toner. Designed for printing in-house documents or marketing materials, the compact Lexmark C910 colour laser printer can deliver professional coloured and monochrome output. It has a 2,400 image quality and has a monthly duty cycle of 100,000 pages. 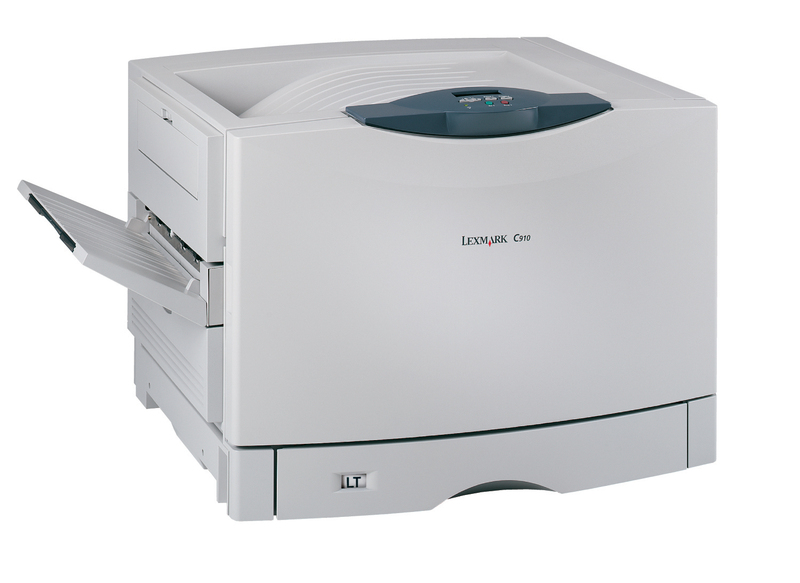 This laser printer is integrated with 400 MHz processor and has a 64 MB memory that can be upgraded to 512 MB. The trouble with the Lexmark C-910 printer is it lacks networking connectivity. This printer has a cube-like shape and measures 512 x 695 x 655 mm. It weighs 80.5 kg and can handle a maximum of 5,300 sheets. The Lexmark C910 laser printer has a con troll panel with handy function buttons and indicator lights. Print speed can go as fast as 29 ppm for both coloured and monochrome output for A4, with the first page coming out in 15 seconds. Finishing options like a puncher and stapler are offered. Users will have no trouble setting up the Lexmark C910 as it is compatible with most operating systems including Windows, Macintosh, and Linux. This printer delivers high-quality output at more than reasonable speeds and it has a high monthly duty cycle. The Lexmark C-910 printer is quite compact and it requires little maintenance making it ideal for small yet busy offices. This printer can handle a wide range of media including gloss paper, card stock, transparencies, and heavy index. Although replacing Lexmark C910 cartridges is not cheap, there are discounted Lexmark C910 toner cartridges which are manufactured by third-parties using recycled materials. The Lexmark C910 colour printer could be better if it had built-in Ethernet or wireless LAN connectivity. The automatic duplexer for double-sided printing is not standard to the C910.